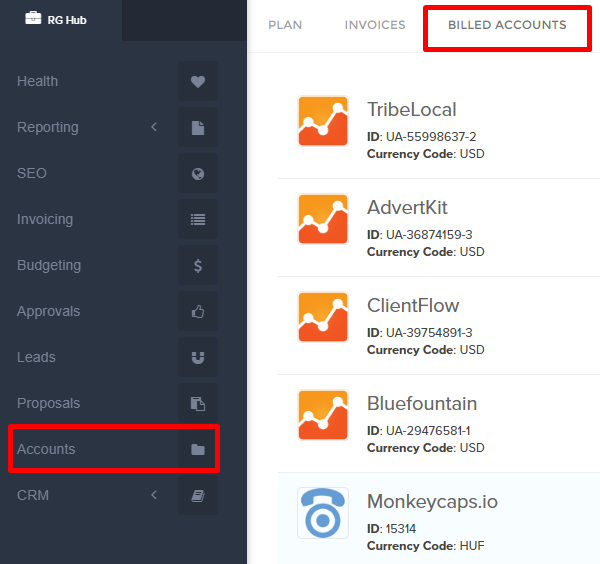 Billed Accounts are the number of accounts utilized while creating Reports, Dashboards, Schedule Reports, Budgets, Templates, Invoices. Where as, Linked Accounts are the total number of accounts linked by a user. You'll see the "Billed Accounts" tab in the "Billing Page."